If you’re looking for a stylish black double plug socket with USB* port, then our 2 gang socket is perfect. Who doesn’t have numerous devices all requiring charging via USB, mostly at the same time – and can you ever find the right charger in the right room? No neither can we. 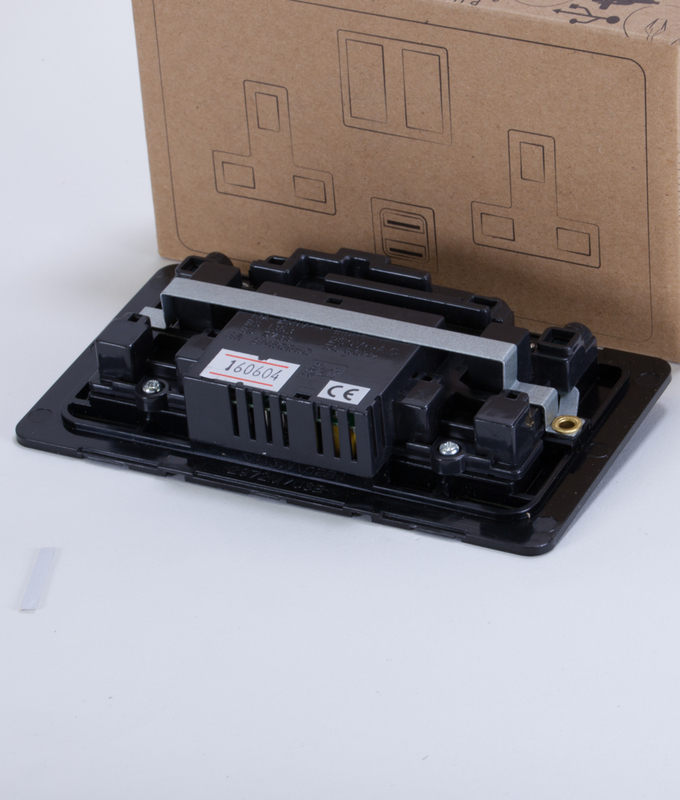 Well rest assured our exclusively designed double black wall socket with a handy extra USB port is just the ticket. Disaster averted. 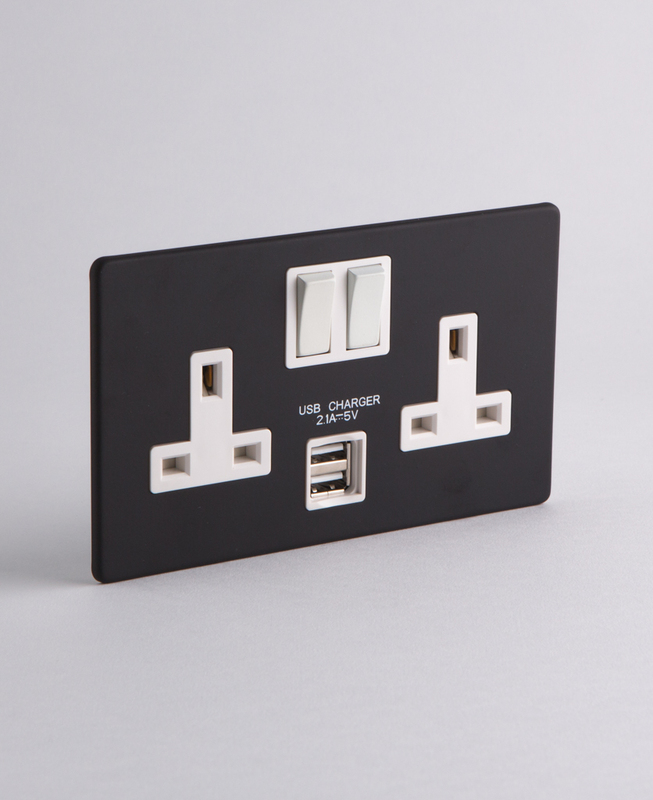 Our black double plug socket USB is exclusively designed and sold by us online. 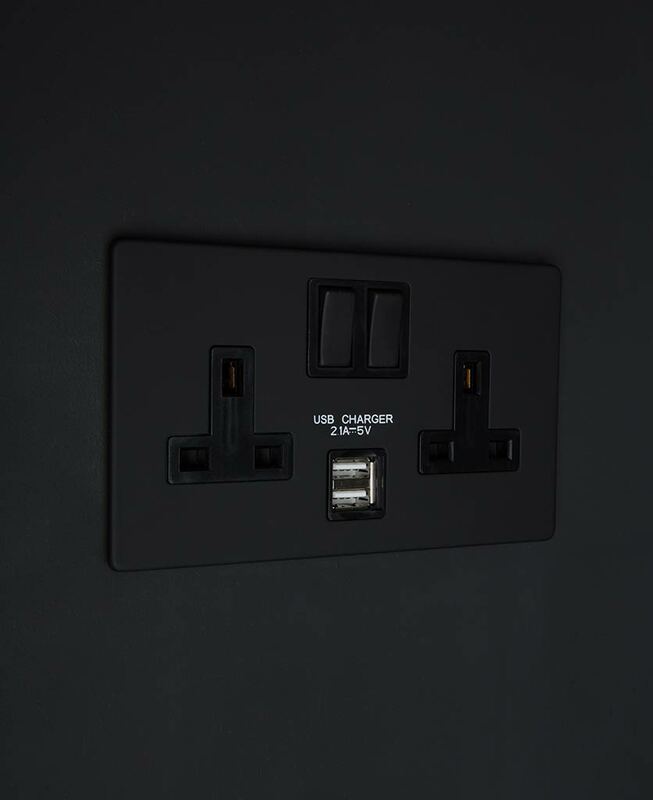 It’s a sophisticated affair, although black is largely considered to be conventional; in the realm of electrical wall sockets black fairs a little more on the maverick side we feel. We love it. 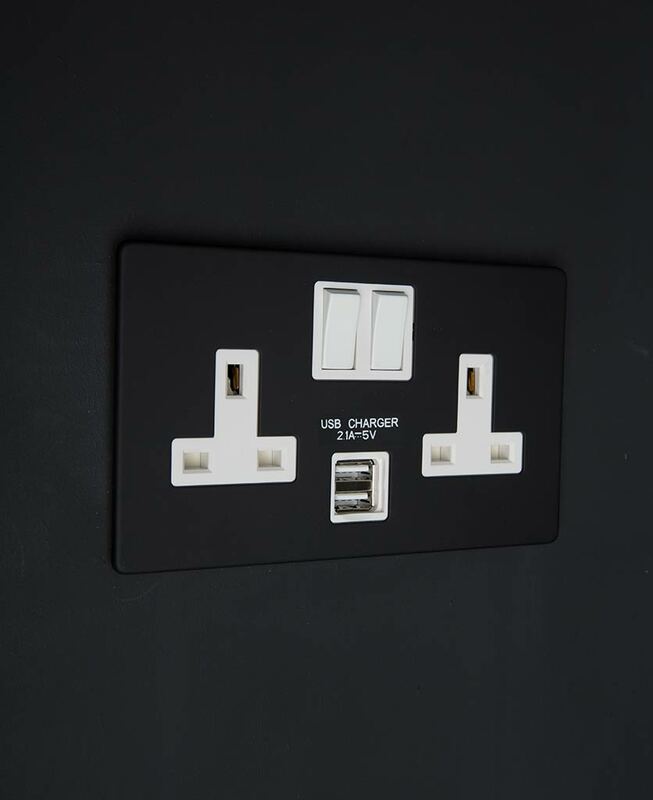 Made of metal and finished in elegant matt black our 2 gang socket with USB port makes for an understated look… Unless you fix it to a white wall of course then that’s a whole different story.